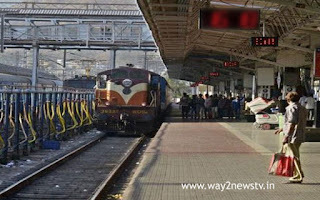 Hyderabad, Jan 10, (way2newstv.in):South Central Railway shock was given after the Sankranthi fest. The decision to increase the ticket prices on the Secunderabad and Kachiguda railway stations is 100 per cent. At present, the ticket price of Rs.10 has been raised to Rs 20. The price hike will last for a week, "the official said. Secunderabad and Kacheguda Railway stations are routinely crowded during the festive season. The railway station has been growing drastically, as the number of travelers who are equally equipped with the passengers. Railway officials think of reducing the pressure and earning extra income through special needs. Dare to increase platform ticket rates at Dada, Diwali and Sankranthi during the festive season. However, some passengers have found the alternative, giving Jhulak to the South Central Railway. MMTS ticket price is as low as Rs 5. This ticket takes you to the railway station and challenges railway officials. Some are benefiting both the 5 MMTS ticket. Besides, they also get free WiFi services for half an hour. 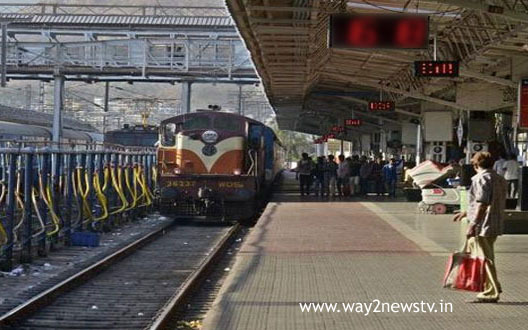 Some are just coming to the railway station platforms for WiFi facility.